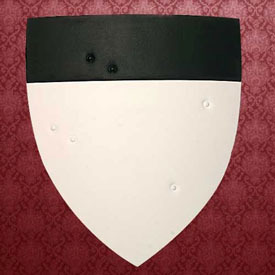 This high quality shield is made of curved wood and is heavily padded with a durable canvas. The black and white shield has adjustable arm straps and padded arm guard on the back. Overall: 22-1/2" x 25"